Bread Delivery Bikes for Sale! 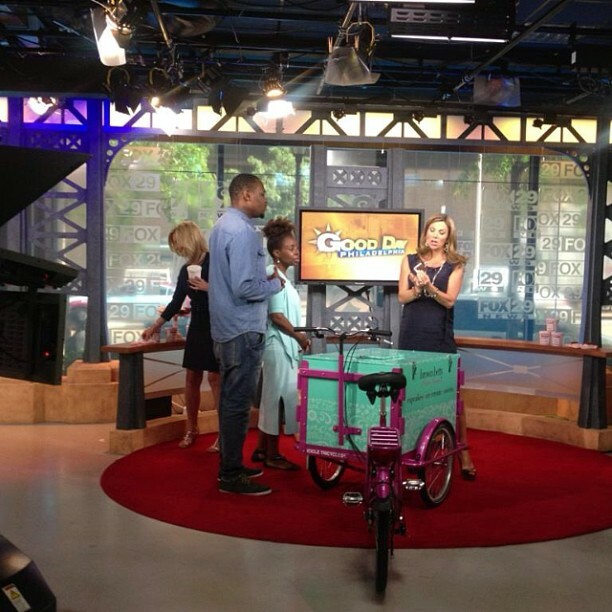 Icicle Tricycles custom builds bread delivery bikes. Bakery delivery services vehicles to mobilize your bakery. We have a long history helping bakers roll out their business plans. Be it cupcakes, pies, donuts, or fresh, hot french bread baguettes, Icicle Tricycles does not discriminate against delicious treats! We are always happy to help bakers get rolling! Whether you’re a croissant maker, sourdough baker, or a pastry vendor looking for a new way to deliver your treats, we tailor our builds to your specifications. 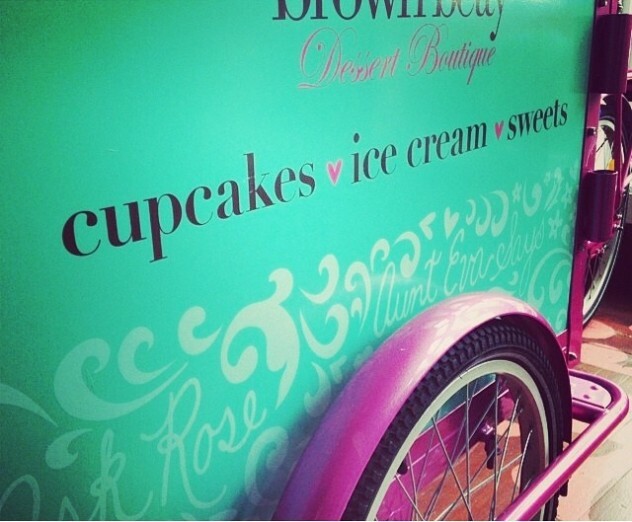 We have built pie bikes, muffin bikes, cupcake bikes, doughnut bikes, and more! Contact us at info@icetrikes.com to get rolling. 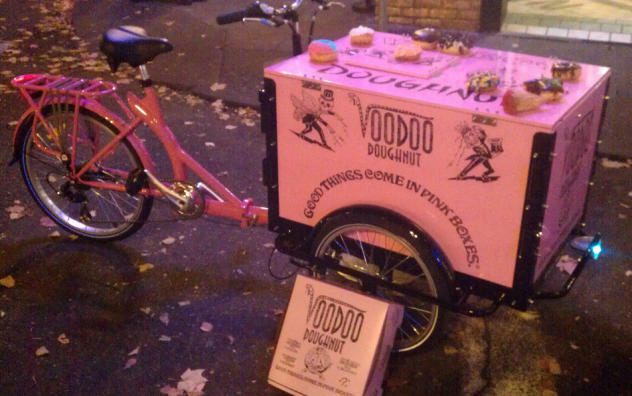 Our very first venture into the world of baking and biking began in our own backyard, with Portland’s favorite and world famous doughnut shop, Voodoo Doughnuts. Known for their incredibly creative and unique doughnut business experience, Icicle Tricycles was a perfect match up for their doughnut bike needs. 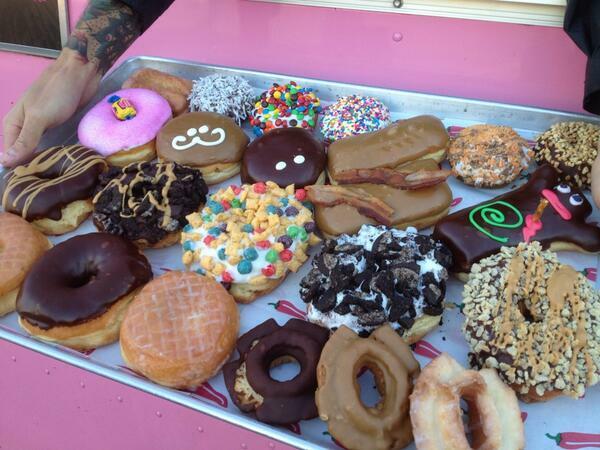 We’re happy to have helped to finally break up those notoriously long Voodoo Doughnut lines! Not only just great for delivery, our bread and bakery delivery bikes are perfect for vending and marketing in farmers markets, street fairs, outdoor festivals, tailgate parties, food truck lots, food cart blocks, and anywhere someone might be hungry for fresh oats and grain. A superb bakery delivery tricycle for the flour market! No reason to be stuck behind the bakery counter with high rent and electricity bills. No more gasoline budgets or getting stuck in traffic jams with a bread delivery truck. Slide those oven racks into our spacious front loading bread delivery trikes and roll out your business with ease. 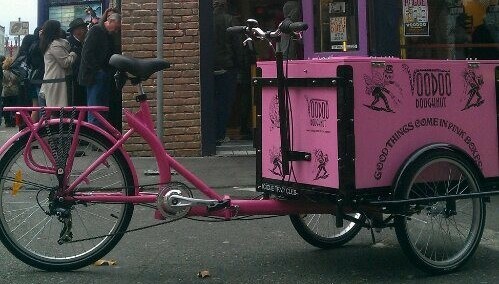 Contact Icicle Tricycles to get your bakery business some new wheels!